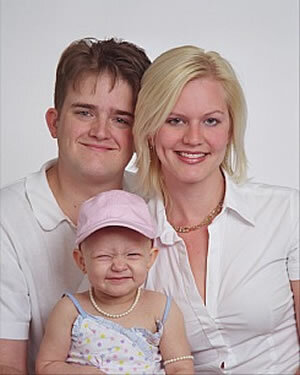 Zack and Crys Aigner got in touch with us about there little girl. Her name is Alexa and she was 2 at the time. 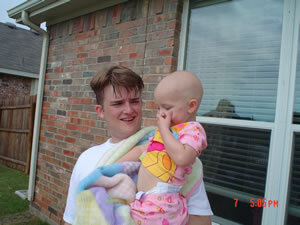 She was diagnosed with Neuroblastoma in December of 2005. 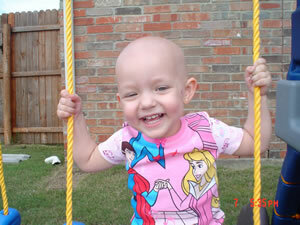 She had been through rounds of chemo and her little body was weak. Her mother, Crys, told us that they would take walks to the park near by to play, but now that Alexa was sick the park was to far away. 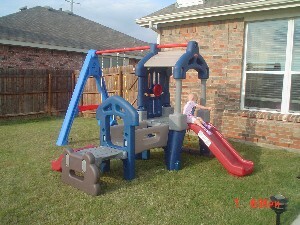 She asked if we could purchase one of those big playgrounds for their backyard so that Alexa could have her own park. 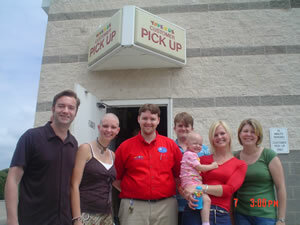 We were honored by the family's request and met them at Toys R Us to pick out the playground they wanted. 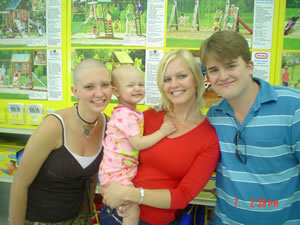 Amy Schreiner went with us so the family could see what she had done to help raise the money for them. 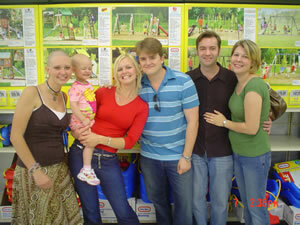 Amy also got to see the impact of what shaving her head and raising the funds could do for someone. It was a wonderful time. We all cried tears of joy that day. It was so great to hold Alexa and love on her. She is an amazing little girl. We will never forget that day and how the love of everyone who has been apart of Shear Hope gave hope to Alexa and her family. The Aigners with Amy, their Hope Giver. Amy, The Aigners and The Youngs. 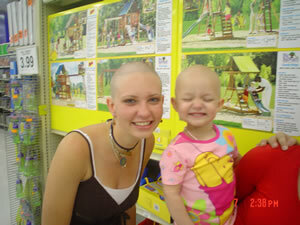 Amy and Alexa with matching bald heads! Thanks to ToysRUs for their help! Coming out to see the swing set!